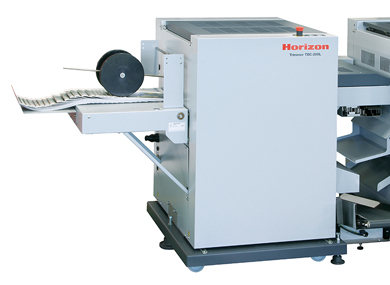 With the same reliable, durable construction and easy operation characteristic of Horizon bookletmakers, the Standard Horizon SPF-200L produces landscape format booklets at speeds up to 3,500 booklets per hour. Landscape format support: The SPF-200L also features improved format flexibility including 8.5” x 11” landscape capabilities, ideal for producing landscape brochures or calendars. Easy to operate: Fully-automated set-up through the 10.4 inch color touch screen – including fold roller gap adjustment – ensures user-friendly and intuitive operation for professional quality booklet production at all skill levels. Digital and offset support: The system can accept digitally printed output from any of Standard’s HOF high-speed sheet feeders and can also serve conventional offset print needs when combined with a collating tower. 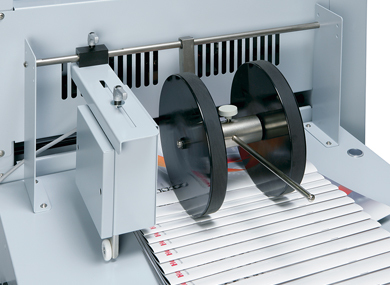 Additional stitcher heads can be mounted for up to 4 stitches per booklet. Optional stitcher heads are available. 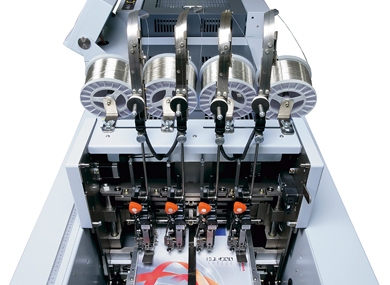 An optional loop stitch kit can be fitted to the standard stitcher heads to meet a variety of customer applications. Loop stitch kit is required for each stitcher head. According to a preset number input on the touchscreen, one booklet is skewed to easily identify and separate the end of a series. 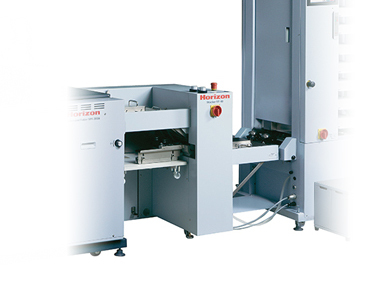 Can be connected to the SPF-200 Series bookletmaking systems or stand-alone available. Provides bleed trimming on the head and foot of each booklet. 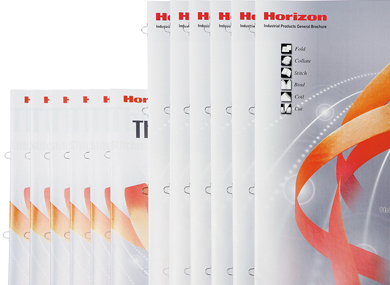 Feeds collated digitally printed output up to 25,000 sheets/hour (11″ x 17″) and 35,000 sheets/hour (8.5″ x 11″). High-quality feed detection system for reliable processing. 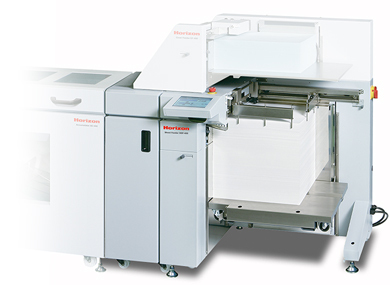 Can be connected to the HOF-400 Sheet Feeder to perform bleed trimming of digitally printed sheets before entering the bookletmaker. 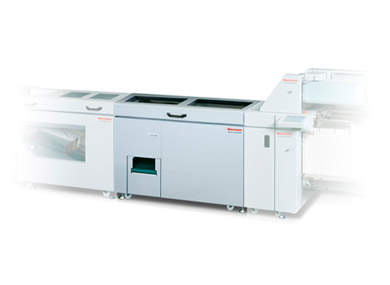 The impact creaser avoids cracking on digitally printed applications. 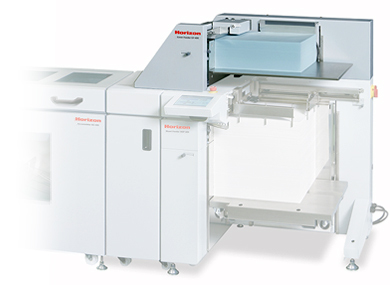 Connected between the collating and bookletmaking systems, the ST-40 serves as a high-capacity offset or straight stacking device. Feeds cover sheets and also works as an inserter, merging sheets with those fed from the HOF-400.